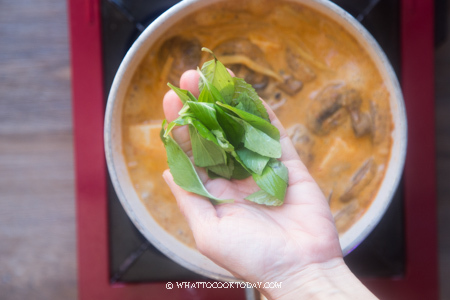 Learn how to make the best authentic Thai red curry, Kaeng Phet, using homemade red curry paste or store-bought paste. 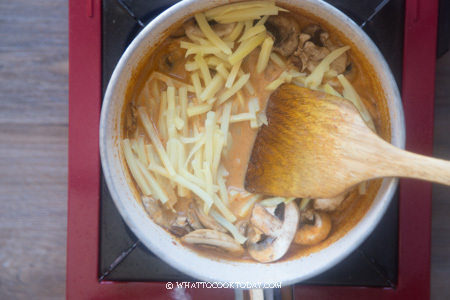 The recipe can be easily adapted to any version that suits your diet needs too. 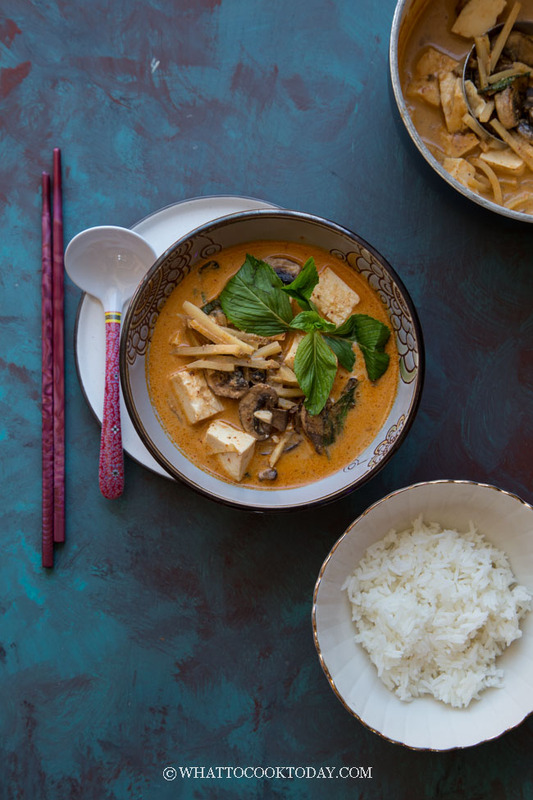 Thai red curry is one of my favorite Thai dishes. I’ve mentioned in my other post that I used to have Thai friend back in college and they made some serious mean Thai food. 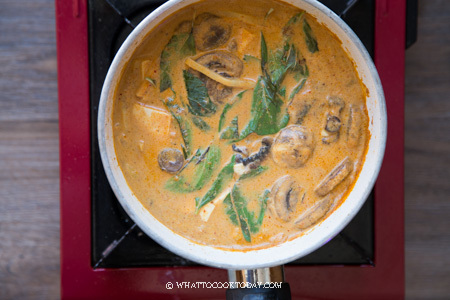 Thai red curry, as its name suggested is reddish in color. 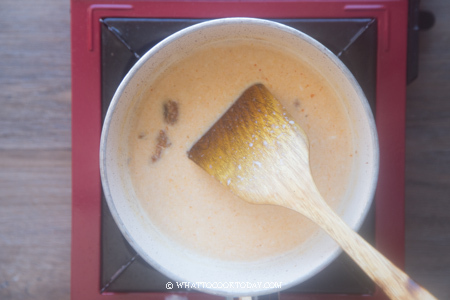 The color derives from the chili used in the red curry paste. 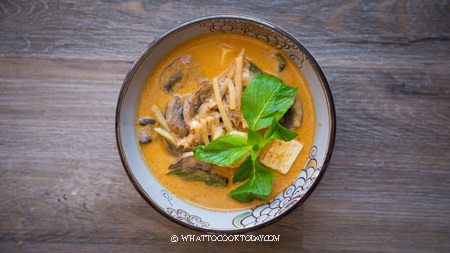 The red curry paste is stir-fried until fragrant and then cook with coconut milk. 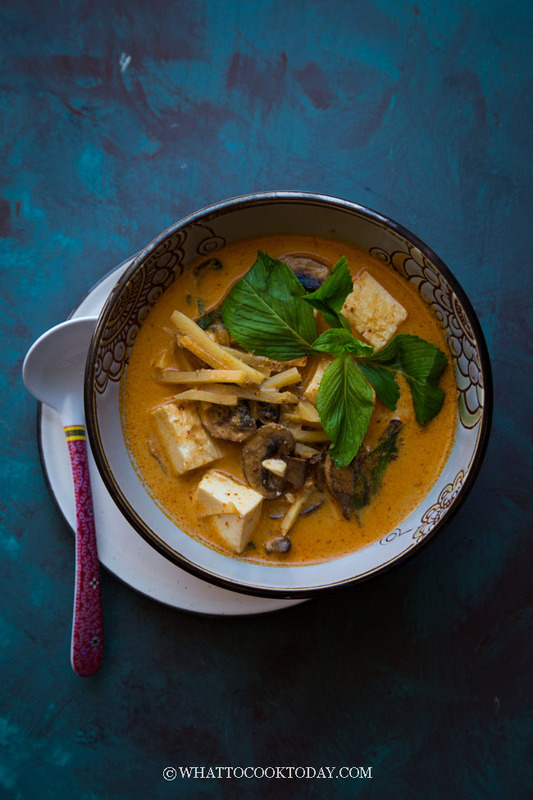 Protein like chicken, duck, beef, pork, or for a meatless version, use tofu (like in this recipe), tempe, or beans like chickpeas is then added, Thai basil is then stirred in. 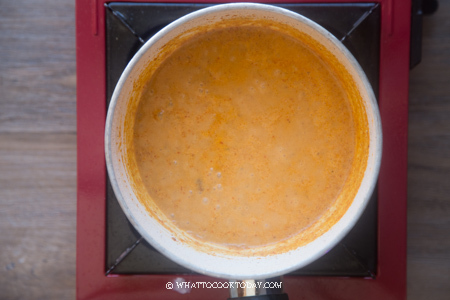 I usually use a store-bought Thai red curry paste. My Thai friends usually do too. They have their favorites that they use and that’s what I’ve been using. 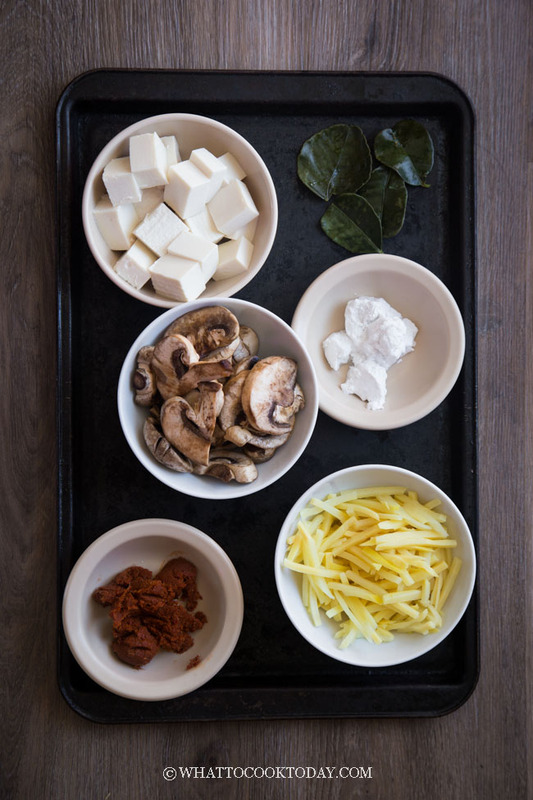 But, there’s nothing like making your own paste too 😉 Honestly, the bulk of the work is getting all the different spices for the red curry paste and blend it together. 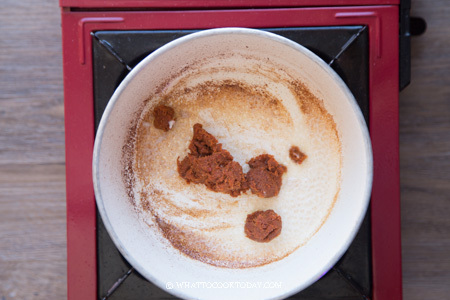 If you find yourself liking this red curry paste, make them in a bigger batch and they can be frozen in individual bags and kept for months. 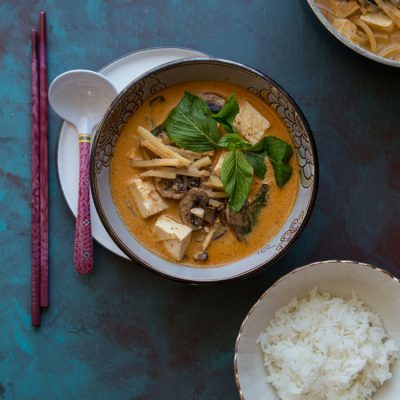 In this recipe, I use tofu as a source of protein and added bamboo shoots, and cremini mushrooms. Regular Thai red curry paste has shrimp paste in it. For a vegan or vegetarian version, simply omit this. 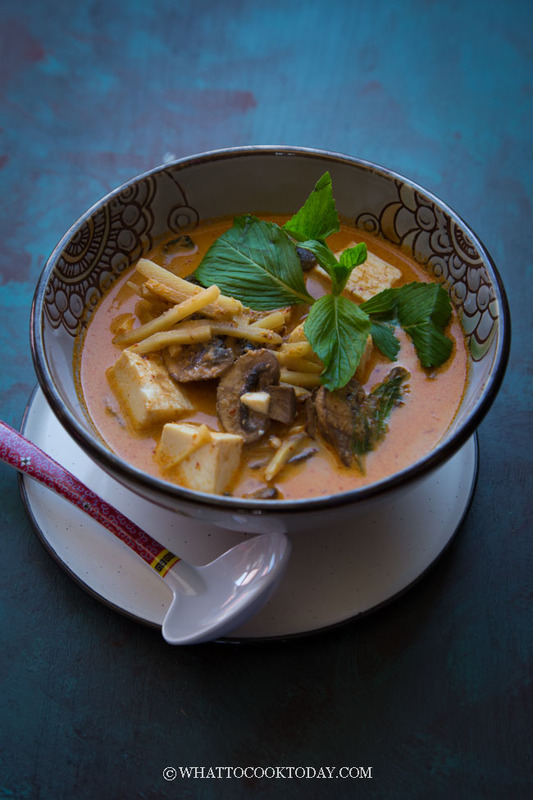 The red curry also uses fish sauce as one of the seasonings, simply use vegan fish sauce. 1. 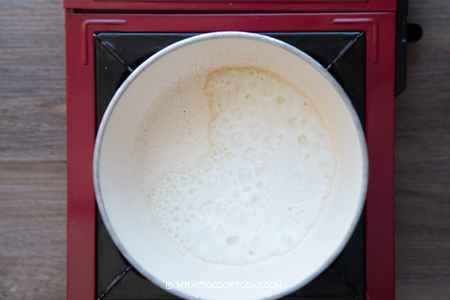 Preheat a medium pot over medium heat. 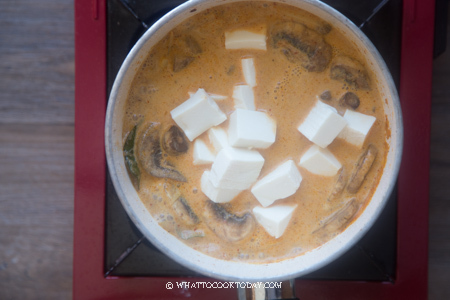 Add coconut cream and cook over low to medium heat to let the oil separate from the milk. I love ordering this dish at thai places! Will have to try to make it at home. I always feel guilty becuase it seems heavy but cooking it myself I can adjust. Thanks! Hey, the colors and flavors look great- Probably, I can work something veg with this recipe. Thanks for sharing! These photos are tremendous– excellent and beautiful! 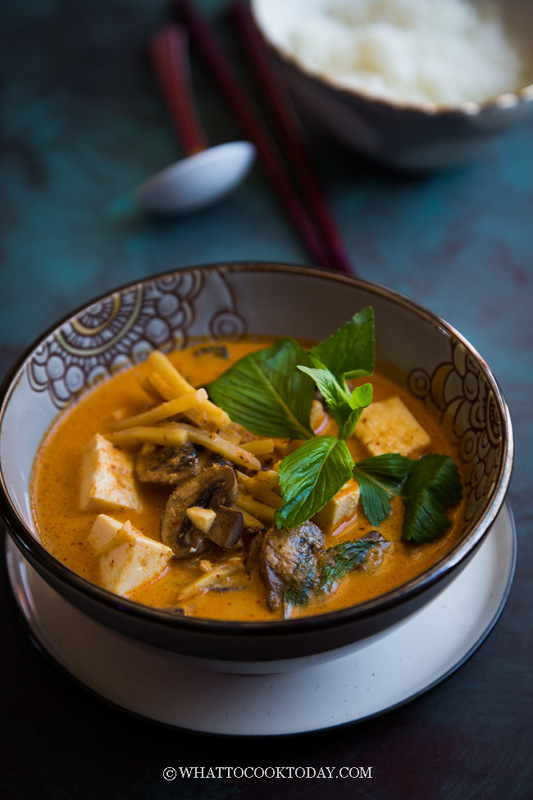 And the curry, looks both authentic, not too difficult to execute and also delicious! Such a great use for sweet potatoes. This looks so good.